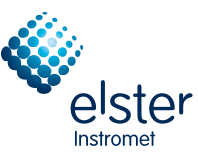 We exclusively represents Elster Instromet. The Elster Instromet has been a big name for a German manufacturer of metering technology among the Oil & Gas industry worldwide for more than 170 years. It is headquartered in Essen, Germany, providing products and solutions for measurement, regulation and the safe control and applications of gases. The Elster Instromet is a company of the Elster Group which has operations in North and South America, Europe, and Asia, and is serving customers in more than 130 countries all over the world.